1.Best Quality: We buy the hair cut from young girl hair,every procedure is inspected by worker. 100% Unprocessed Virgin Brazilian Human Hair, natural and healthy, no shedding and tangle-free, can be straightened and permed. 2.Hair Color: Natural Color Default, #1,#1B,#2,#4,#6,#8 NO extra fee, but only natural color can be dyed. Hair Density: 150%(Default), 130%, 180%.If you have any request, please contact me in advance. 3.Cap Size: Medium Size Default, small size and large size need contact me in advance. Head Circumference: small one is 21-21.5 inch, medium is 22-22.5 inch and large is 23-23.5 inch. 4.Lace Color: Medium Brown Default, light brown and dark brown need contact me in advance. 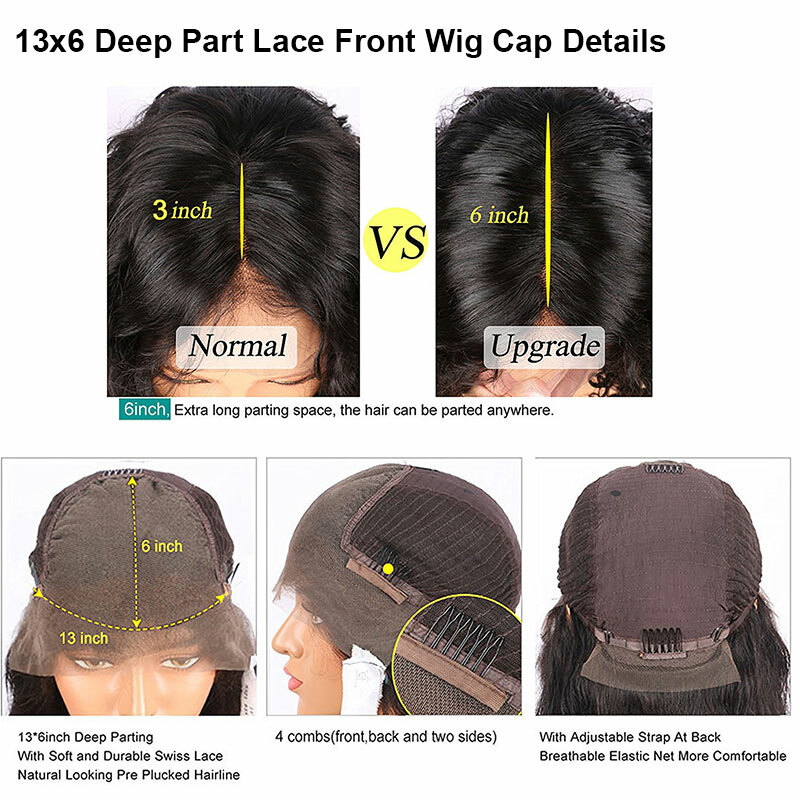 Easy to Wear: Glueless lace wig with combs and adjustable strap. 5.Kindly Reminder: We offer every customer a 30-days refund guarantee. If you don't like our product, simply return it and keep the item in original condition including Lace Uncut and Hair Unwashed.